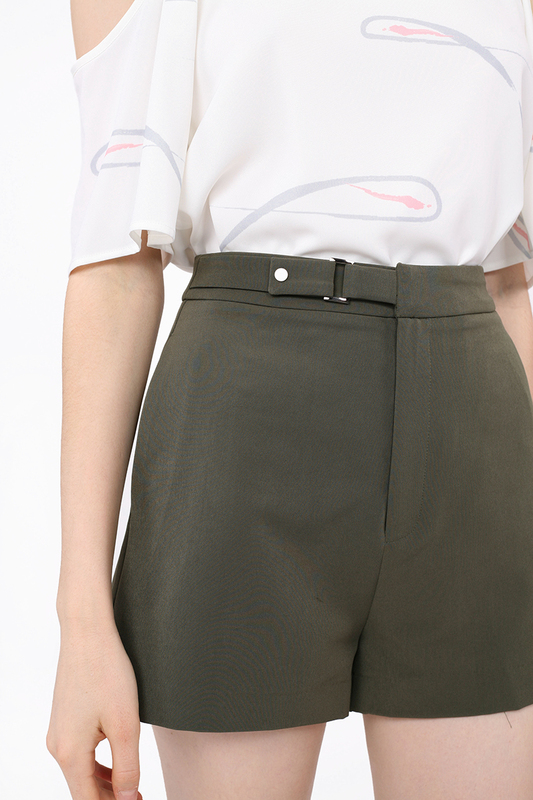 No wardrobe is truly complete without a trusty pair of high-waisted tailored shorts like the Delos Shorts. Cut from midweight polyester and fully lined, this comfortable piece sits high on your waist, emphasising it in the process; and comes embellished with a functional side buckle for practicality and aesthetics. Highlights include a concealed front fly and a slight A-line silhouette. Styled with Odein EarringsQuadra Blouse. Length 13.5" 13.75" 14" 14.25"